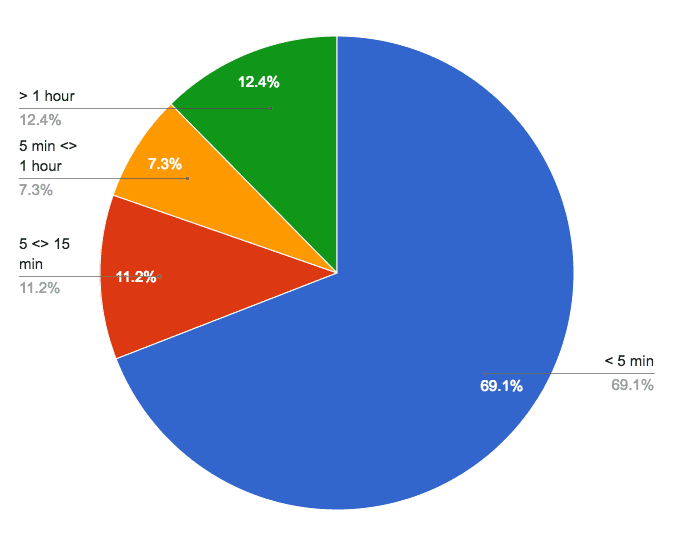 The other day we decided to analyze the number of emails generated by Maître: 3.6 million! To be precise: 3,691,345. 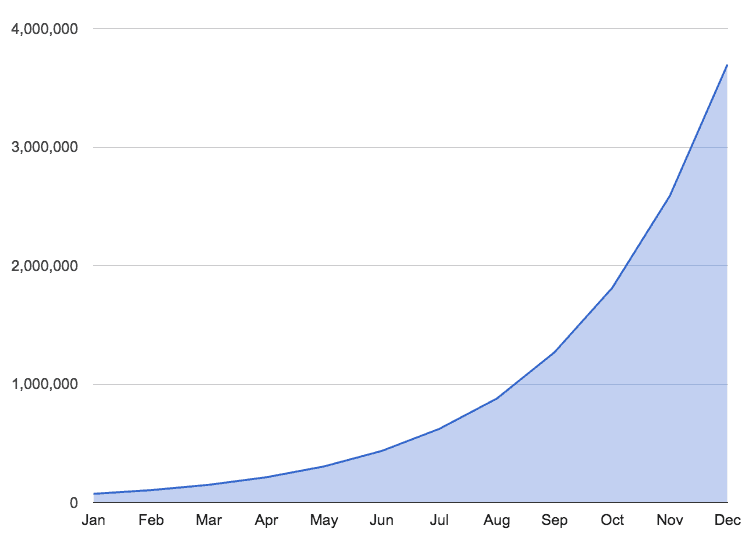 This is how many leads our customers have generated globally with Maître. That is a lot of data-points. I can’t stress enough how big this number looked just one year ago when we started our little adventure. Over the last 12 months we have powered thousands of competitions, all around the world, most of which have been a tremendous success. And for that I’m extremely proud. But that day, some other questions popped into my mind. What are some interesting numbers about our campaigns? Which best practices we can learn from those numbers? How many people, on average, a subscriber needs to refer in order to be in the top 10%? Which emails incentivize referrals? Which social channels work best? The answer to all these questions are in this post. We don’t want to brag about our numbers here. The goal of this post is to help you figure out what works and what doesn’t. For each category I will provide some tips on how to optimize your Maître campaign or any other referral campaign for what matters. Some tips will work better for certain campaigns, but all advices apply to all campaigns. A question we get often at Maître is: what should be the length of the verification time? There are a few interesting observations to be made here. First, the average time to verify an email address is 1 hour and 21 minutes. However, the data is not linearly distributed at all. Indeed, 50% of subscribers verify their email address in less than 2 minutes. You can see in the chart below how subscribers verification time distributes over 4 (rather arbitrary) groups: less than 5 minutes, between 5 and 15 minutes, between 15 minutes and 1 hour and more than 1 hour. As you can observe, the majority of people (nearly 70%) verify their email address in less than 5 minutes. However, there is an important, though small group of people (~13%) who take more than one hour. What can we learn from this? Sometimes is tempting to set the verification time to only 15 minutes to push people to verify their email address as soon as possible. Even we suggested that back in the days. Now we know that in reality we would lose more than 30% of people. To be extra sure you capture all email addresses and at the same time provide a time-based incentive, set the verification time to either 12 or 24 hours (which is also the default now). Key Takeaway: Set the verification time to no less than 12 hours to make sure everyone has enough time to verify their email address. How many referrals to be in the top 10%? Most things in life follow the Power law (also known as Pareto distribution), whereby 80% of the output is produced by 20% of the people. Maître is no exception to that rule. 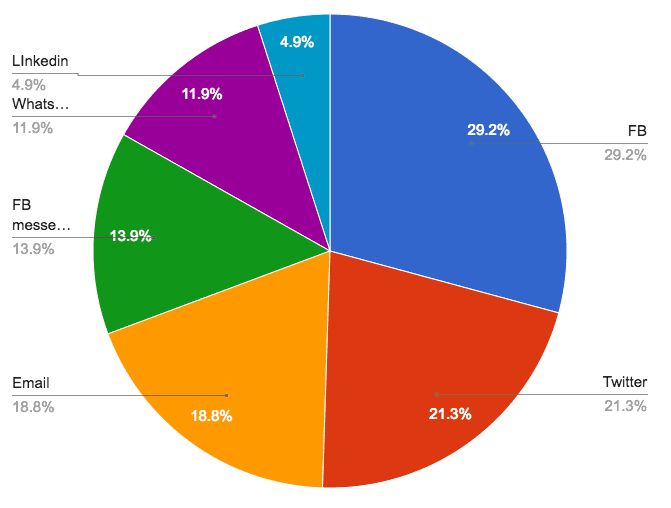 We have found many times that a small percentage of Super Referrers, generate the majority of the referrals in a list. This also means that the majority of people won’t refer anybody. Zero. Therefore, by referring a small number of friends (2 or 3) your subscribers can get further ahead in the list. (PS: We have just launched a new leaderboard where subscribers can see how many referrals the people in front of them have, hence increasing the likelihood of them referring their friends). Here we wanted to know how many people, on average, a subscriber needs to refer to be in the top 10%. To make data meaningful, we have only considered lists with more than 10 subscribers and less than 10K. As it turns out, this was one of the most interesting stats of all. On average, in order to be in the top 10% of the list, you only need to refer 1 person. If you refer two people you are, on average, in the top 5%. But perhaps even more interesting was to find out that with just 3 referrals you would be, on average, 12th in a list. Key Takeaway: Encourage your subscribers to refer at least a couple of friends. Tell them how easy it to jump to the top of the queue with just a few referrals. 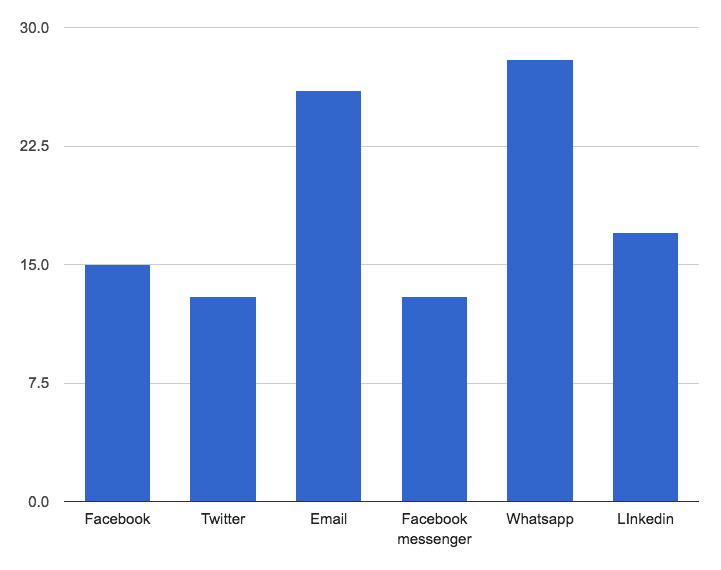 Which engagement emails are the most effective? Engagement emails are one of our most loved features. And with good reason: users who enable Engagement emails grow, on average, 40% more than those who don’t. We offer 6 action-triggered emails plus the option to send an email at any time (we call it “Custom email”). The goal here is not so much to offer advice about what you should say in these emails (we will cover that topic in a different piece), but rather to figure out when it’s best to do specific actions. 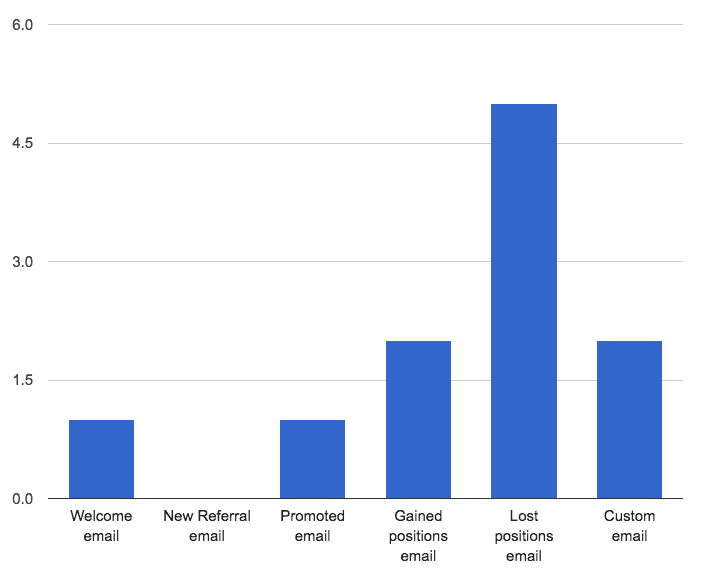 We will look at basic stats like which emails have high open/click rate but also (and most importantly) which emails have the highest ROI, by which we mean the highest number of referrals generated directly from sharings originated in those emails. Ok, too much for the theory: let’s crunch some numbers! The open rate is quite high for all emails, averaging 49.1%. Not bad. 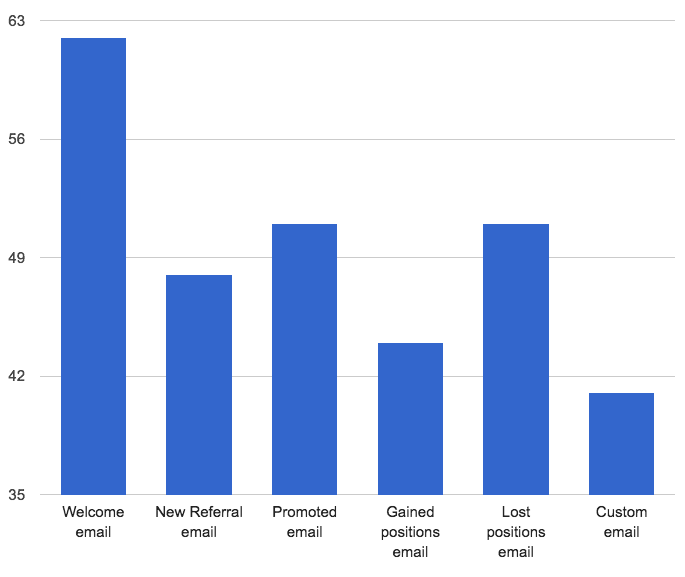 The most opened email (not surprisingly) is the “Welcome email” with 62% open rate. This stat offers a rather good insight: since you know this will be your most viewed email why don’t you use this email to create a “relationship” with your users instead of just pushing them towards sharing? I know this sounds like a counterintuitive advice for an email whose only purpose is to make people share more but do not forget that these emails are called “Engagement emails” for a reason. The goal is not to force people into just sharing but, as the name suggests, to keep your users engaged throughout your competition. And we both know that people are more likely to be engaged if they can put a face on the name. Does that mean you should not add sharings buttons? No, not necessarily. What I am suggesting here is to adopt a “soft” approach and make the Welcome Email geared towards a warm welcome rather than a cold sale. Key Takeaway: Use the Welcome Email, on average your most viewed email, to start a relationship with your users and postpone the aggressive sale pitch to other emails. Here again things get very interesting, but first of all let’s look at the chart. You will immediately notice two things. 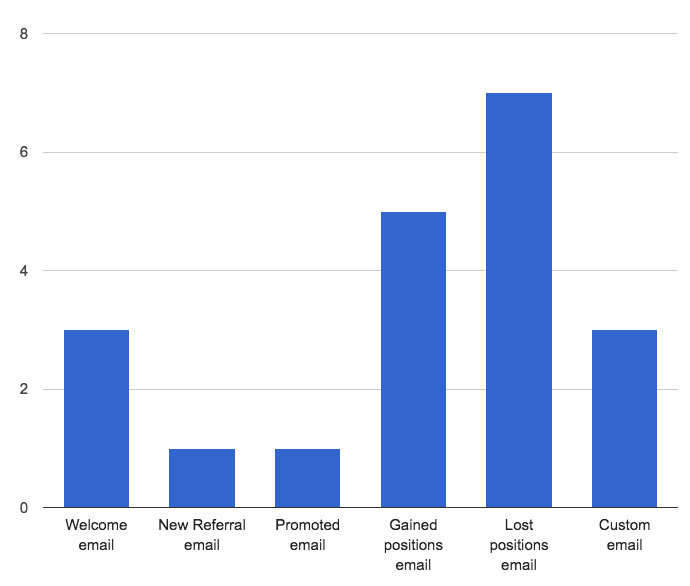 First: the CTR of emails like “New Referral” and “Promoted email” is relatively low (1%). Second: the CTR of emails like “Gained Positions” and “Lost positions” is quite high (5% and 7%). We don’t know for sure, hence we are left with pure speculation. However, you can quite easily spot a trend. “New referral” and “Promoted” emails are just “notification” emails, which means emails sent to merely notify the user something has happened. “Gained positions” and “Lost positions” are still notification emails but they are loaded with emotional meaning. These two emails, in fact, impact on our ego directly, to tell us either that we have gone ahead in the list (positive feeling) or that we are losing positions in the list (negative feeling). So, here’s what we think: emails with an emotional feeling (whether positive or negative) always trump cold emails. Not just that: negative feelings are more effective than positive feelings in making users perform certain actions. This is not a secret: humans are animals with a super-sized sense of pride and ego. Touch that and they will do their best to impress you and prove you wrong. Some emails (such as “Gained positions” or “Lost positions”) are already loaded with emotional meaning. Leverage on that to make the subscriber do what you want them to do (refer their friends). In the “Lost positions” email, remind the subscriber of what they have lost. 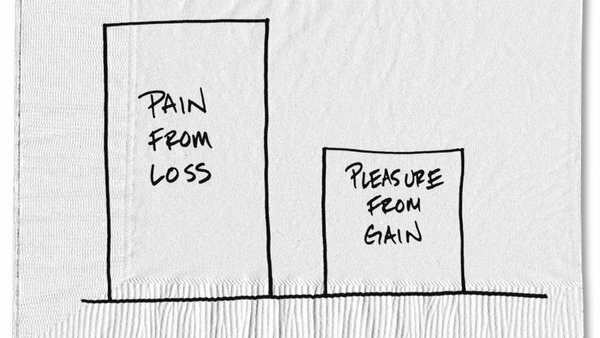 The loss aversion bias is by far the most powerful psychological human bias and you should take full advantage of it. In the “Gained position” email be clever and touch the sense of ego of your subscribers. Applaud them, praise them, make them feel special. Get that right and you won’t even need to remind them to invite more people. Key Takeaway: Use emotions in your emails and some psychological biases to make your subscribers do what you want. We talked about the good, let’s talk about the bad. People can (and do) unsubscribe from emails. They will always do that, don’t take it personal. However, what we can do is to figure out the best strategy to lower your unsubscribe rate as close as possible to 0. But firstly, let’s look at the numbers. Here again we immediately notice three things. First: the unsubscribe rate of emails like “Welcome email”, “Promoted email” is relatively low (1%). Second: the unsubscribe rate of “New referral email” is close to 0%. An unsubscribed rate of almost 0% for the “New referral” email is to be expected. This is a positive email and usually frequency it’s not a problem (even very active referrers refer on average 2 people a day). A low unsubscribe rate for emails like “Welcome email” and “Promoted email” is also to be expected. These are, by definition, emails we’ll send only once and subscribers do get that. We are then left with “Gained positions” and “Lost positions” emails. The “emotional emails” of above. (We’ll talk about Custom emails later). Why is their unsubscribe rate so much higher than the average? Once again, we don’t have definite answers but we are left with the ability to make an educated guess. Our guess is that the answer lies in the nature of these emails and their frequency. First of all, for some people might they may not feel good about constantly being reminded of positions lost (and the consequential loss of self-esteem). Multiply that feeling by 10 (if, for example, this email is received every other day for a month) and you won’t be surprised that some people do unsubscribe. How do we solve that? The first solution is to change the tone of the message. Upon receiving a “Lost positions” email, the subscriber is vulnerable and sad. Reminding them of that is not clever. Instead what you want to do is to offer them the option to stop suffering (by inviting their friends). It’s a subtle difference, and getting that right is more art than science, but if you succeed you will win many more people. What about the “Gained positions” email? In theory, this is a positive email and shouldn’t prompt people to unsubscribe. This is all true and the only possible explanation here lies in the frequency. We must assume, based on the numbers that the main reason why people unsubscribe is that they receive too many similar emails. This is also why we are planning to change the frequency of these emails from once a day to twice a week. We’ll keep you posted on this. Key Takeaway: With a ‘lost position’ email, remember to include a positive spin on how they may improve their position. Which social channels are the most effective? On Maître you can enable up to 14 different social channels for people to share their referral link (including Facebook, Twitter, Email, Whatsapp, etc). Each channel can be switched on or off and ultimately it’s up to you to figure out which channels are right for your audience. For example, if your audience is not technical maybe you don’t want to use Reddit. Let’s look at the numbers. We are going to look at the conversion rate for each channel and ignore the smallest social networks (small here is a relative term). All social channels have a high conversion rate but two in particular stand above everything else: the old fashioned email (26%) and Whatsapp (28%). What do these two seemingly different tools have in common? The answer is simple: they are meant for personal communication. When you tweet on Twitter or post a status update on Facebook you are broadcasting to your audience. The communication is 1-to-many. With emails and Whatsapp, instead, the communication is 1-to-1. It’s personal. Your friends or colleagues will always open your email or read your Whatsapp messages. And when you ask them to check out that new cool service or product they will do it. When you write the message people will share on Whatsapp or via email (you can do this in Maître for each social channel) keep in mind that it will be a personal message. After you write the message read it as if you were the receiver and ask yourself if you would click on that link if the email was sent from a friend of yours. Word of mouth has always been the most powerful marketing channel, but especially if you offer services or products that leverage on network effects. Note: Do not forget to enable Whatsapp and email. Does it mean you should remove Facebook, Twitter, etc? Absolutely not. In fact, if we look at the following chart we’ll notice that there is no better channel to attract large amounts traffic than FB and Twitter. In short, direct messaging is higher converting, posting across FB & Twitter is wider reaching. This chart shows the impact of each social channel by traffic generated. As you can see if you want lots of people to land on your website and get to know you, you still have to rely on Facebook and Twitter, etc. FB & Twitter are collectively responsible for more than 50% of all the traffic on our widgets! I know at this point you might be tempted to just enable all 14 social channels and increase the chances of people clicking on them. Don’t do it. This is possibly one of the biggest mistakes you can do. First of all it’s very unlikely that your audience knows all the social networks and use them. If your audience is not technical you don’t need to use Reddit or Digg, if it’s not Asian you don’t need Weibo or QQ. You get the drift. 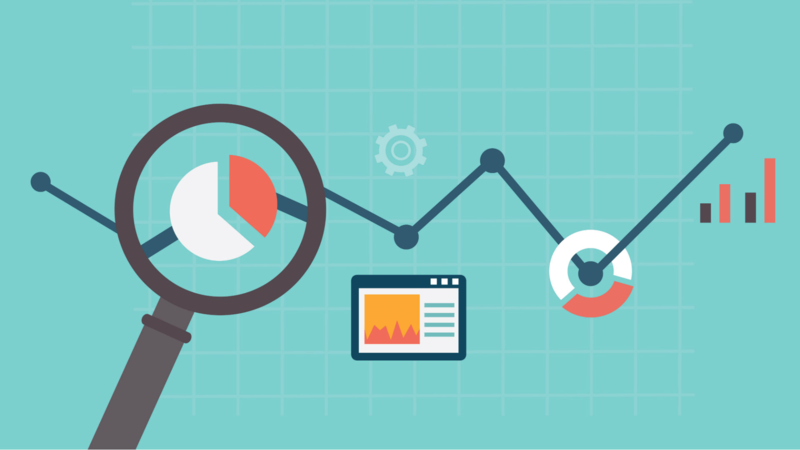 Research the social channels your target market uses. The second reason is that unlike many people think, more choices is not always a good thing. Actually it usually leads to more confusion and analysis paralysis. This psychological effect – called by Barry Schwartz “The paradox of choice” – operates constantly under the wood and it’s something we should always keep in mind. Hence why the best decision is actually to limit the number of options we present our subscribers with, usually to 3-5. Key Takeaway: Limit the number of social channels you use to 3-5 and don’t forget to enable at least one between Whatsapp or Email. Phoaw, that was a lot of writing! I didn’t cover ALL the stats we found because there were really too many of them. I hope you enjoyed and do let me know if there is something else you are curios about.